Explores the world's fastest machines. In this book, the close-up photographs can excite even the most reluctant readers. It has information about various technologies. It also features facts about the most innovative machines. What were the first ever inventions? When was the wheel first around? What's the fastest machine on Earth? This book answers the questions children love to ask about the world's oldest and newest machines and inventions. Volume II of this England Peculiar History trilogy explores the Wars of the Roses, the Industrial Revolution and everything in between. Explores the world's fastest machines. In this title, close-up photographs can excite even the most reluctant readers. It includes information about various technologies. It also features facts about the most innovative machines. 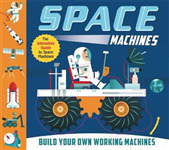 From Isaac Newton's laws of motion to types of energy and forces, the 32-page book explains everything you need to know about how your pinball machine works, and includes awesome experiments to do at home.Follow the step-by-step instructions to assemble the 88-piece model with plunger, leavers and flippers. You Wouldn\'t Want To Live Without Soil! The series examines some of the critical issues facing farmers today and discusses how we might feed the growing world population in the future. 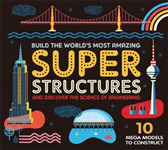 A fascinating look at some of the world's most amazing engineering marvels. You Wouldn\'t Want To Live Without Plastic! The invention of plastics was one of the most important discoveries of the past century, revolutionising the way things are made, stored, and packaged. This book tells the story of plastics, from the science behind their creation, to their use across all aspects of society.